Why it matters: As Apple continues to focus on services, eliminating unneeded barriers between platforms will help prevent end users from feeling stuck within a single ecosystem. The ability to pay for a service and use it on any hardware available is good for consumers, but may prove difficult for Apple to adapt to. Just as CES 2019 has been kicked off, Samsung Electronics has wasted no time in announcing a major collaboration with Apple. 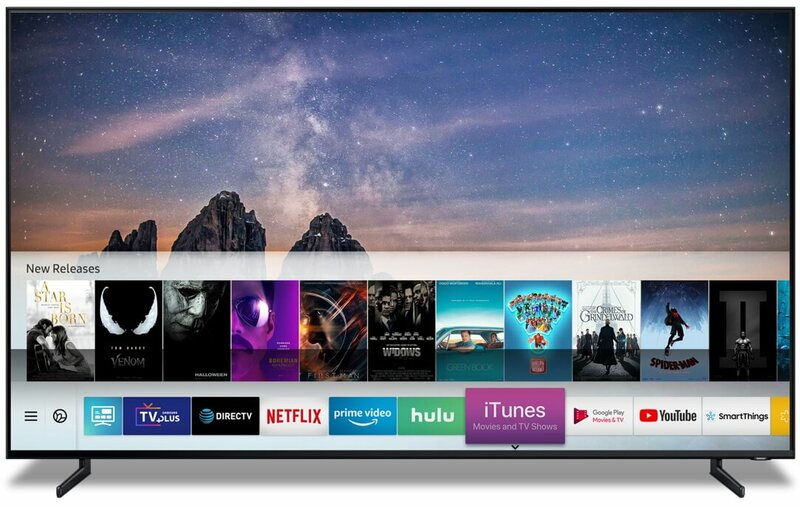 All of Samsung's 2019 smart TVs will support iTunes Movies and TV Shows as well as Apple AirPlay 2. Firmware updates will be pushed out to 2018 models. End users in more than 100 countries will be able to access the same content that was previously available on Apple TV boxes, but through their existing Samsung TV. Integration is deep enough that Bixby will be able to search for content. Even though Bixby is trying to shake a lingering poor reputation, it is perfectly fine for basic commands. AirPlay 2 will allow for Samsung TV owners to cast their photos, videos, music, podcasts, and other media from Apple devices directly to their TV. Considering that Apple does not have a large format display of its own, its about time that there is a way to do this without paying for extra and unnecessary hardware. Perhaps part of the reason that Apple has decided to partner with Samsung is that its Apple TV hardware is having a rough go against alternatives such as Amazon Fire TV, Roku, and even Chromecast because of pricing. Since Apple is not releasing unit sales numbers anymore, there is not a way to know just how badly the competition is beating Apple. One of Apple's major selling points to its services are that they are the default option on its own hardware. Even though Apple is attempting to gain access to a much larger market, it will be interesting to see how it fairs when end users do not feel in any way obligated to use the "native" service options available.